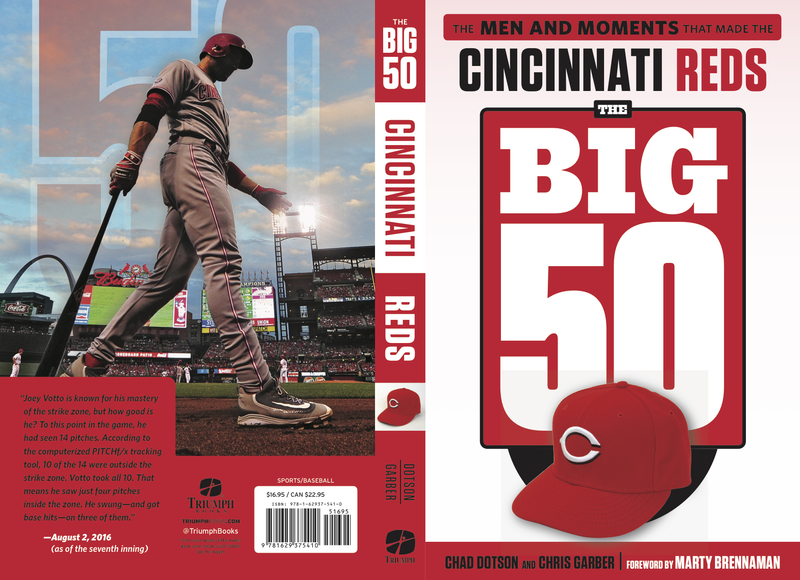 With the Books by the Banks Cincinnati Regional Book Festival coming up on Oct. 20, WVXU-FM’s Around Cincinnati will replay my July conversation with Chad Dotson, co-author of The Big 50: Cincinnati Reds: The Men and Moments That Made the Cincinnati Reds. 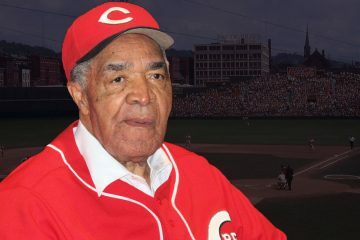 Dotson, who wrote the book with Chris Garber, explained how they first made a list of 100 of the greatest seasons, players, games or personalities from 149 years of Cincinnati Reds history Ã¢â‚¬â€œ before cutting it to 75, and finally 50. 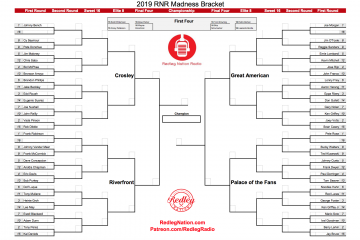 Please listen to us tonight at 7:00 pm on WVXU (or go here to listen online). Also, Chris Garber and I will be at the Books by the Banks festival next weekend (at the Duke Energy Convention Center downtown), talking about the book and signing copies. Hope you’ll join us! I listen to the Redleg Nation podcast all the time and have never heard about this book. You should try to mention it on the podcast. Hey, that’s a good idea! Thanks! NYY looking to unload Sonny Gray, cheap. Maybe a deal can be arranged, and he starts for the Reds on the road in bigger ballparks. Maybe he can be part of a package where the Reds give the Yanks BH, who would flourish as a designated late-innings glove man and pinch runner on a team with a loaded offense. Sonny Gray was pretty good in Oakland, in that big ball park. Maybe just a bad year in the Bronx. Due for a bounce back year? I thought he was a pretty good pitcher, myself. Needs to be examined, but this looks like something the Reds should seriously consider. But then, there is his contract.